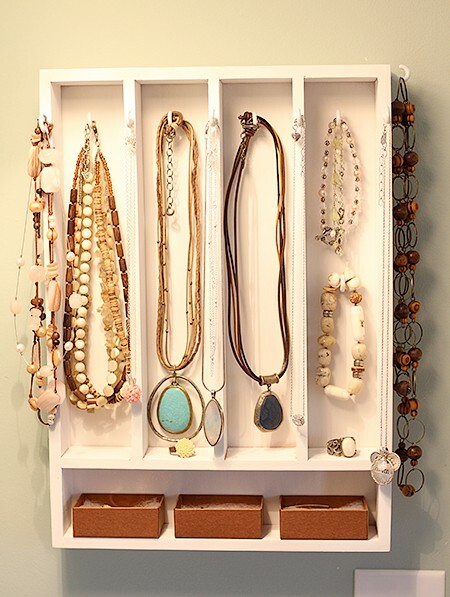 Using a hanging jewelry box like this one with hooks is a great way to keep necklaces from being tangled and ensure easy access. 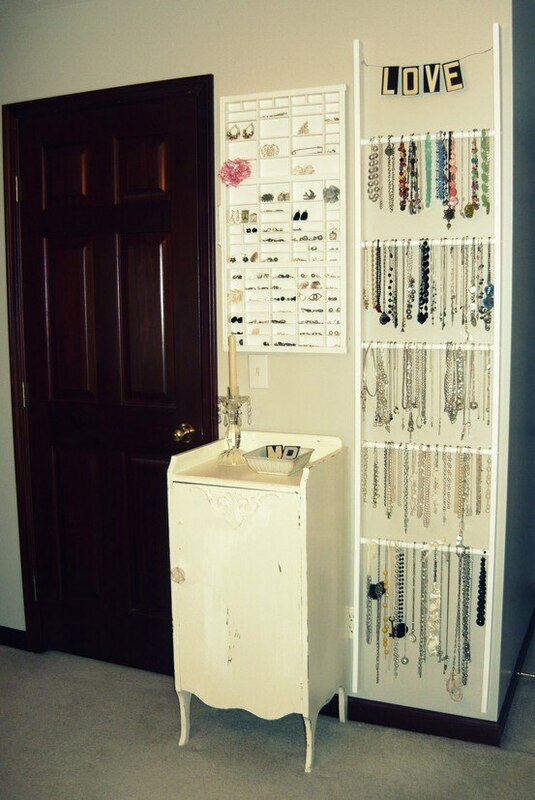 You can create a similar effect with any kind of wall hook, as well. If you have lots of necklaces, investing in a necklace ladder like this one below can be a great storage idea. It will keep them from being tangled, and still look visually appealing in a room. Make sure you measure your space before buying and installing. If you have a photo frame that you are no longer using like the one below, you can insert small nails in it to hang jewelry. 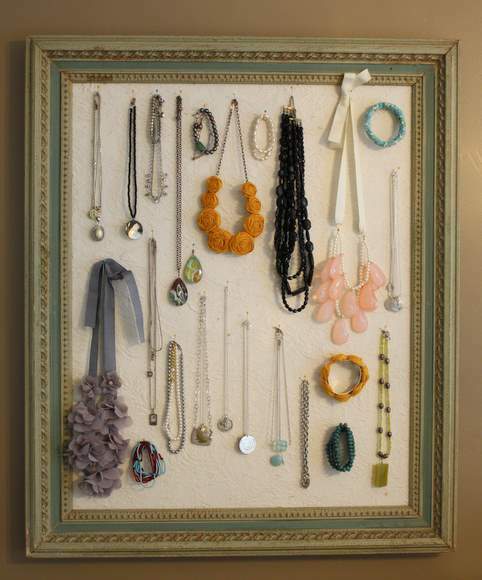 This can be a very DIY way to hang necklaces and other jewelry inexpensively. Check out Pinterest for tons of ideas, too. One last idea is to invest in some jewelry drawer organizers like these to store necklaces and other jewelry. The key is to know how big your jewelry collection is, and what size space you have to work with. 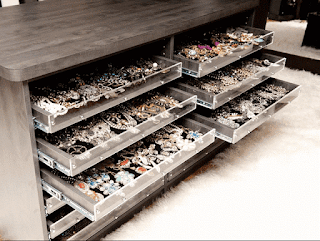 Hope this helps with necklace and other jewelry storage!